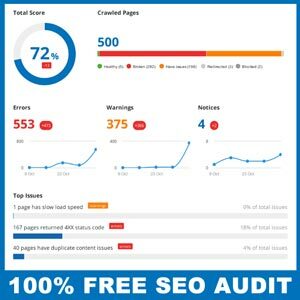 Knowing how many people are visiting your website is important and that’s exactly what a free website traffic report will show you. Getting quality statistics does not have to be difficult or cost a lot of money. Here are 3 sources that offer free website traffic reports. Google Analytics allows you to get the data you need to make intelligent marketing and business decisions. Their program is available for websites and apps. Traffic reporting with Google Analytics provides a single, accurate view of the customer that can be customized to your needs. Google Analytics promises to give insights into how visitors find and use your site, and how to keep them coming back. If you are running a blog, the likelihood is that you’re running it on WordPress. WordPress has a free plugin called Jetpack that comes with a statistics tracker that sits right in your WordPress dashboard. Jetpack lets you know how many visits your site gets, and what posts and pages are most popular. It makes the most popular metrics easy to understand through a clear and attractive interface. StatCounter is another free website analytics program. It’s much simpler than the two mentioned above, but it is very easy to sign up for and use. StatCounter currently offers the following stats: Popular Pages, Entry Pages, Exit Pages, Recent Keyword Activity, Search Engine Wars, Visit Length, Returning Visits, Country/State/City Stats, Recent Visitor Google Map, and more.